California has an abundance of labor laws that can make it difficult for many businesses to know with certainty that they are in compliance. The recent updates of sick leave ordinances across many cities in California are only in addition to the California Paid Sick Leave Law that went into effect in 2016. This leaves many employers questioning what role the Kin Care Law takes in the new law. Thousands of businesses who did not previously have to abide by the Kin Care law, now fall under this law. They are scrambling to make sure that policies comply with this law as well. The purpose of this article is to clarify how Kin Care relates to the Paid Sick Leave law of California and to highlight recent updates and clarifications in the law. What is the Kin Care Law? Kin Care is a law that provides employees with the ability to use half of their sick leave for the care of a family member. In the past, the law did not apply to employees who were not eligible for sick leave. With the enactment of the California Paid Sick Leave Law (PSL) nearly all employees are eligible for sick leave. There are few exceptions to the California PSL. This means that Kin Care now applies to 6.5 million employees that were not previously covered by Kin Care. The first aspects to understand are how Kin Care applies under the California PSL. Previously, the law only applied to specific family members, namely: a child, parent, spouse or domestic partner. The recent updates to Kin Care law bring it more current with the California Sick Leave laws. The new definition of a family member now acknowledges biological, adoptive, foster, step and legal guardian relationships. It also recognizes in loco parentis designations for parents when the employee was a minor child. New relationships now allowed under the kin care law include sibling, grandparent and grandchild relationships. Parents-in-law are still not acknowledged under Kin Care. An employee who uses paid sick leave under the California Sick Leave Law to care for a parent in law, would not be using days that qualify under Kin Care. All other uses related to family members would qualify under both laws. This is congruent with California law. 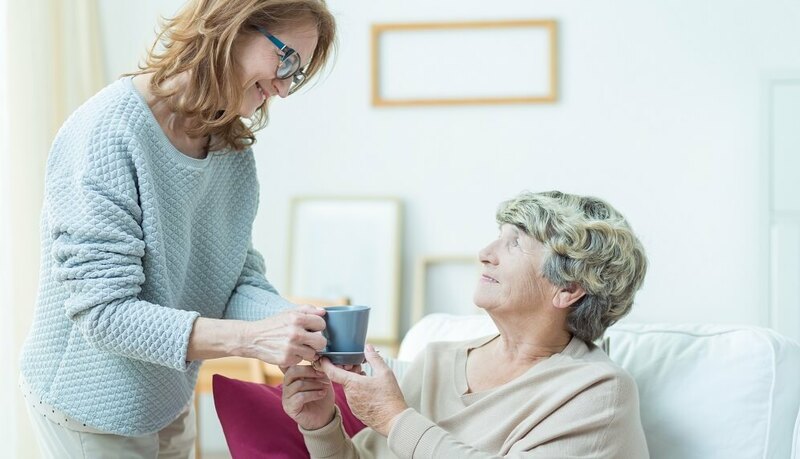 Therefore if your companies policy is to allow employees to take paid time off to care for a parent-in-law, then you should be aware that those days don’t qualify under Kin Care Law. Kin Care allows employees to take time off to care for a family member’s illness or treatment. However, Kin Care also allows for employees to use paid sick leave for any of the allowed uses for family members. This means that with the new California Sick Leave Laws, which allows for employees to use the time to provide help from domestic violence, sexual assault, and stalking now applies to Kin Care. Previously, Kin Care didn’t recognize domestic violence, sexual assault, or stalking as a valid reason to take time off. Employees can use this time to help family members who have suffered from domestic violence, stalking or sexual assault with the any of the needed help. This includes, but is not limited to seeking court relief, relocating for safety, seeking counseling from the abuse, medical care, or other domestic abuse services offered by shelters. Additionally, Kin Care can now be used for the preventative care of a family member, and not just the treatment of an illness. Can Kin Care be used for minor sickness? Kin Care is allowed for any minor or major illness. This would include minor colds, flues, and another sickness as well as chronic or major illness. The previous provisions allowed for employer policy to require the use of doctors notes upon returning to work. However, the recent updates to the law remove the specific mention of doctors notes in employer policy. This leaves the law open to interpretation on whether or not an employer can still require a doctor’s note when an employee has used Kin Care. This will need to be closely monitored by companies whose policy requires a doctor’s notes after a certain number of concurrent sick days. Additionally, several cities in California such as San Diego and Oakland have specific provisions for verification of sick leave use. This can make it a more difficult topic for businesses addressing sick leave policies in multiple cities and in accordance with California PSL and Kin Care Laws. How does Kin Care apply to companies with unlimited PTO? The California Supreme Court ruled that Kin Care does not apply to companies who provide an unlimited time off or sick leave policy. The most recent ruling was in 2000. This makes it possible that with the addition of the sick leave laws statewide, that the interpretation of the law has changed. Companies who offer unlimited sick leave days or unlimited paid time off should consult legal advice to make sure that they are in compliance with all of the overlapping laws. Written by Annemaria Duran. Last updated on November 15, 2016.